I am a hot tea drinker?! Does that count? Yes? I can’t see why people would not see “fair trade” positively! Hello–do you know me? If you do, then you know I LOVE, LOVE, L.O.V.E coffee. More for the “perks” than the taste, so to speak. It’s pretty much the last thing I think about at night and the first thing I think about in the morning. And to think, I only just discovered coffee a few years ago. How I went through college and the first few years of having babies/toddlers without coffee in my life, I have no idea. And I only buy organic, fair trade coffee. It tastes better, and it’s the right thing to do. I am an absolute coffe addict and all I buy is fair trade!! I am pretty sure my blood type is light roast. I love coffee! As far as fair trade, I would consider it if I really liked the coffee and it seemed worth the price. Oh coffee, it’s seriously sometimes the only thing that gets me out of bed in the morning haha! I have a 2yo and a 3mo so…yeah I drink buckets of coffee. Love fair trade coffee and have been a fair of Green Mountain for a long time! Coffee is a daily necessity for me with 4 kids (two of which are 3 month old twins!) I’d love to upgrade to a Keurig, and would most definitely purchase fair trade coffee. Your iced coffee concoction looks delicious! Umm.. do birds fly? YES, I am a huge coffee drinker, and we always buy Fair Trade. I am not a coffee drinker, but my husband needs a cup every morning! We love fair trade! Such a wonderful concept, so sad that it’s not the norm. Your timing is amazing! I just started drinking coffee and totally want a Keurig! And of course I would prefer to drink Fair Trade. I am not a coffee drinker. Unfortunately. I often wish I could stomach it because I need extra energy. But my husband drinks coffee and perhaps the individual cups would make the coffee smell less pervasive in my house? Also, we both support fair trade!!!! Dude. I need to win this. NEED. I’ve wanted one if these bad boys forever! Coffee is my lifeline. Oh yes, also, go fair trade. Coffee in the morning, tea in the afternoon! And I particularly like buying fair trade when I can. I love coffee!! Mostly as a vessel for coffee creamer… =) I think the flavors you talk about, especially Caramel Vanilla Cream, sound intriguing! I do not currently buy Fair Trade coffee (on purpose), but I am going to look into it now. My husband is a HUGE coffee drinker. He wakes up at 3am everyday and goes to sleep at 10pm…so coffee is pretty much a staple throughout the day. I think buying fair trade is a great idea whenever possible. LOVE me some coffee!!!!! I do buy fair trade if it is available. Would love to have a Keurig! I drink coffee because it’s caffeine. I pair it with sugar and flavored creamer (which is lactose free) which basically puts me on the bottom of the coffee social hierarchy. We do fair trade coffee and chocolate ~90% of the time because the alternative is literally slavery. Coffee and chocolate that is not fair trade (or organic) is literally made with literal slave labor, often of small children. I don’t think “coffee addict” is a strong enough term for me. My veins contain coffee with a trace of blood :) And yes, making sure the food products we buy are fairly traded and ethically produced is important to me, though sadly not until just a couple years ago, when the surge of food documentaries shone a glaring light on the issue. I drink wayyy to much coffee. I do buy fair trade, but not necessarily because I knew they were ethical, but it is a bonus. :) I hope I win, my current keurig makes an awful sound and wakes up my 2 young kids so I have to wait for them to get up to make it in the morning. It’s a real bummer. My HUSBAND is a major coffee drinker and I would definitely consider buying fair trade! I’m totally a coffee addict. Black coffee (in multiple doses) in the morning, followed by something sweeter in the afternoon. I buy fair trade when it’s available. I am a coffee drinker and I already buy fair trade when I can! 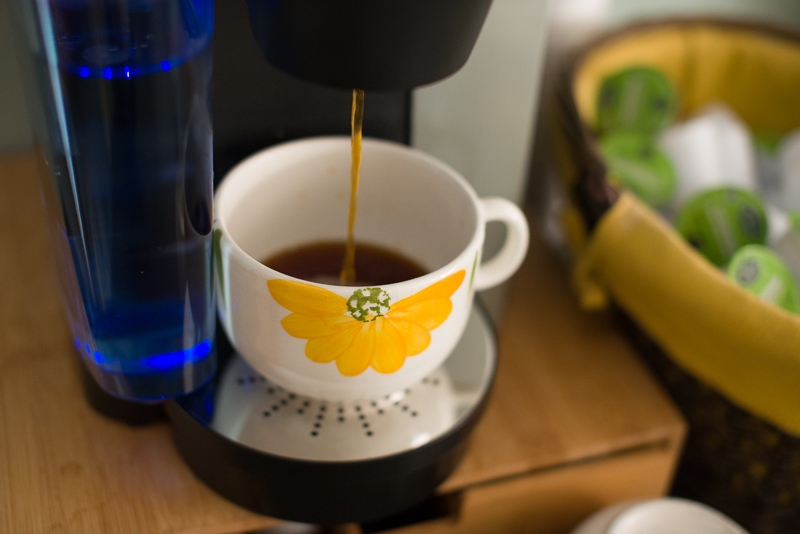 I also love your bright and sunny flower mugs! I love my coffee & tea during the fall and winter! Since I moved home for hubs’ deployment, I had to leave my Keurig behind and nobody else here drinks coffee! 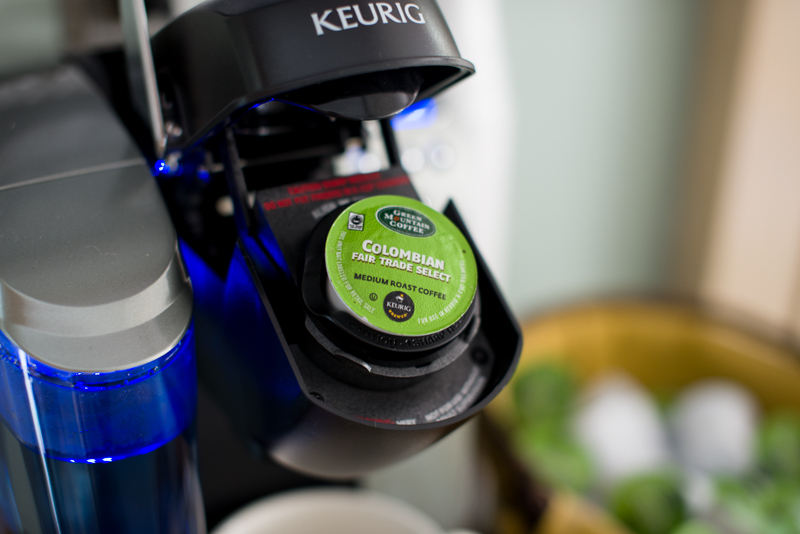 I would love a new machine and green mountain is the only kind of coffee k cups that I buy!! Yay fair trade! I have a one month old so coffee is a necessity in my life! :) it’s absolutely important to me to buy fair trade coffee. I had no idea that Green Mountain had fair trade coffee! I love their iced hazelnut. I’m a coffee drinker and love my Keurig but I seriously need an upgrade. We bought when we were on a budget and I didn’t drink coffee enough to justify buying the biggest and best Keurig. So I got the smallest one that only holds a single cup. I would definitely buy fair trade coffee and try to support as many companies that participate in things like that. Bravo, Green Mountain! Umm I worked as a Batista in college & it is still my favorite job ever!! Coffee coffee coffee!! Iced medium roast hazelnut no cream & no sugar. And fair trade just makes sense. I drink coffee and mostly buy Fair Trade except sometimes I have been known to succumb to a very good deal. Yes to coffee – and a big yes to fair trade!! 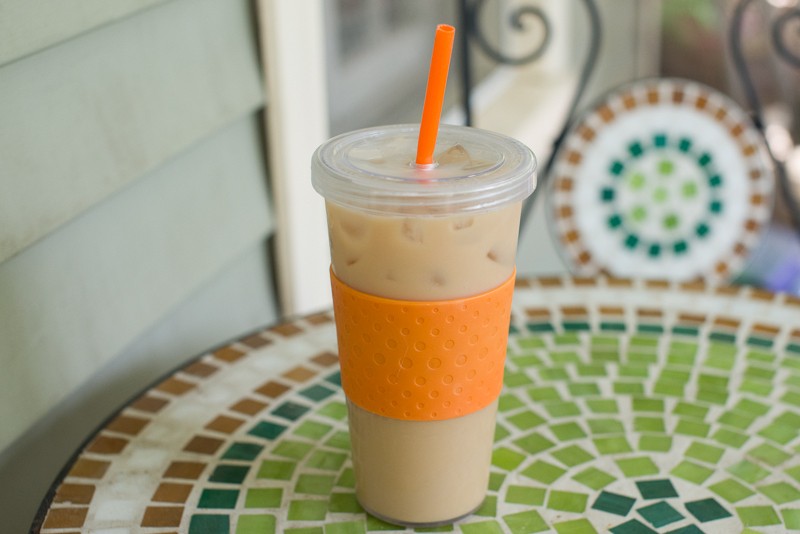 Yes to a dew cups of coffee a day (if only I could wake up running like the toddler) and Fair Trade is the way to go! I drink coffee, if it’s super sweet (i.e. frappucinos), and I like coffee ice cream, and Autocrat coffee syrup (which you can only find in New England!). But my husband drinks coffee everyday, so I guess you can say we’re a coffee family! As far as free-trade goes, I always like the idea of doing something environmentally good, and benefiting other people. It’s a win-win! YES! I am a coffee drinker!! mmmmmm coffee!! AND I buy fair trade whenever possible! Yes, I really enjoy coffee and yes, I would purchase Fair Trade. Thanks so much. Must. Have. Coffee. And yes– I need to be more conscientious of fair trade, so I would totally buy it. I’m a coffee drinker and coffee lover! Yes, I would buy fair trade coffee for sure. I LOVE coffee (hello, four kids under 7?) and I love fair trade! Win-win! I am a big coffee drinker! And suer, I would buy fair trade! 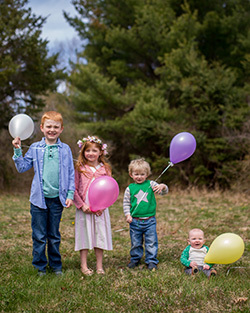 If kids are the justification for loving (needing? )coffee, I have 11! Also love fair trade…I’ve made 5 trips to Kenya helping poor rural farmers drill water wells on their own property to become more self sufficient (completed 47 wells now). I drink coffee on occasion and would definitely consider buying fair trade. I had never heard of it before. Thanks for the giveaway. I’m not a coffee drinker. I’m more of a hot tea or hot cocoa person. I would love to win this for my mother-in-law. She loves coffee and would consider buying fair trade. I love coffee and I would buy fair trade coffee if they taste good?! Yes, I love coffee!! I drink it daily. I would definitely consider fair trade. I’m a coffee fanatic. Would buy fair trade. I am not a coffee drinker, but I have never tried it. I would try fair trade. Getting the oldest up for school and an infant I drink coffee every day. Cause I’m a terrible person without it. I have never tried green mountain but fair trade coffee would be great for me as long as it Tastes good. Yes, I drink coffee and I would consider fair trade. I am a coffee addict and I always buy fair trade. Yes, I’m a coffee drinker and yes, and would buy Fair Trade because it helps farmers get fair wages. I’m not a coffee drinker, but I love tea. My husband loves both, though. I would definitely consider buying Fair Trade. I drink coffee every day and buy fair trade when I can! No, I am not really a coffee drinker but definitely yes to Fair Trade! I don’t drink coffee but my brother buys free trade coffee! I drink coffee, and I would buy Green Mountain. It’s great that there really are people who care about the ethical treatment of our fellow human beings. I’ve had fair trade and wasn’t disappointed. Love coffee. I’m a daily coffee drinker and I will consider buying fair trade coffee. I’m not a serious coffee drinker but I absolutely am cognizant of fair trade coffee and I think it is a very important consideration. Yes I love my coffee and I would buy fair trade coffee. I drink a lot of coffee and I’d definitely buy fair trade. I enjoy a cup or two of coffee each day and I would give Fair Trade a chance to see if I like it enough to be frequently. I feel like I drink more coffee than anyone! I’ve bought fair trade and would do it again. I am a coffee drinker and I am fair game to Fair Trade! I am a coffee drinker and I do drink fair trade coffee already! I am a big coffee drinker and would consider buying Fair Trade coffee if the price is reasonable. I love coffee and I would most definitely buy fair trade. I am a coffee drinker (3 cups a day) and I occasionally buy fair-trade. 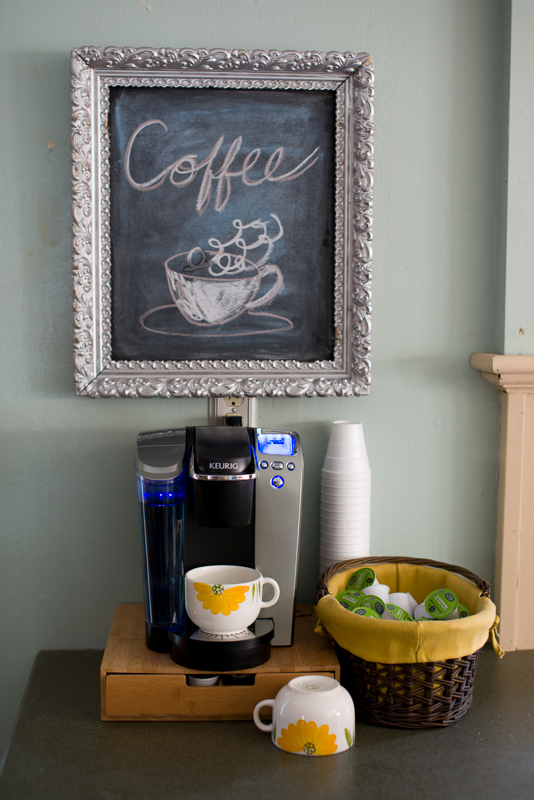 We love love love coffee in our house. And we only drink fair trade coffee. Love my coffee & I have tried Fair Trade!! yes i am a coffee drinker and yes i would totally consider buying fair trade! i am a coffee drinker,and i would consider buying fair trade coffee. I am a coffee drinker and would love to buy fair trade. Im a coffee drinker and love buying fair trade!